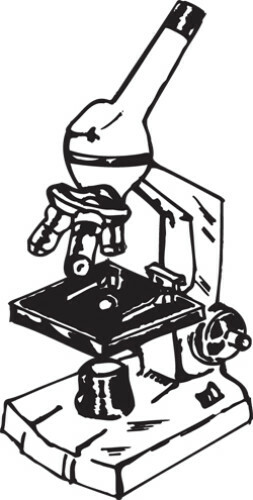 A Sherlock Holmes-type magnifying glass is good, but this is better. 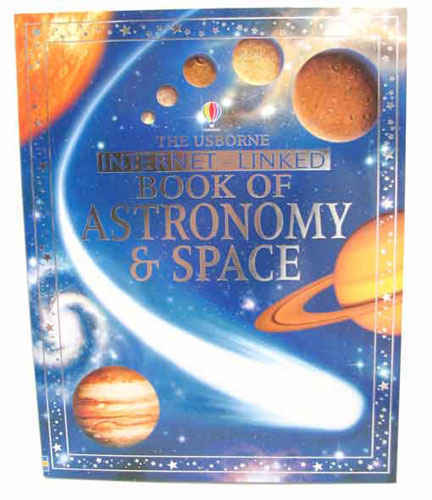 It frees your hands and throws light on the subject! 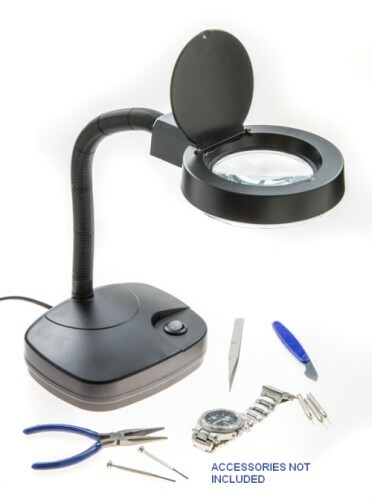 This 120-volt magnifying desk lamp has a white or black (our choice) heavy 7-3/8" x 5-1/2" x 2" base with a power switch, standard lamp cord, and 11" gooseneck ending in a 5-1/4" dia shade. 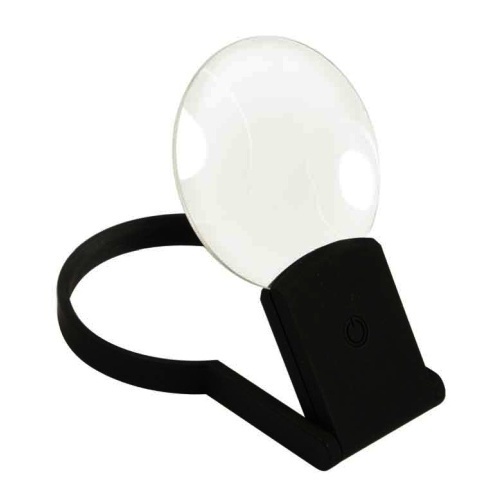 Under the shade is a circular fluorescent bulb and a 3-3/8" dia lens with a flip-back cover. 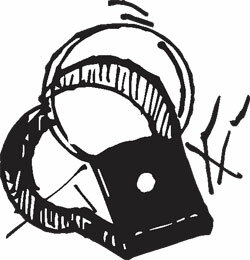 The box says the lens is 5X, we think it's closer to 2X. 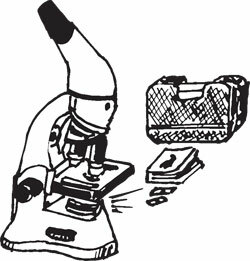 Either way, it's a major improvement if you need help to examine scientific specimens, to inspect stamps or jewelry, or just to read. 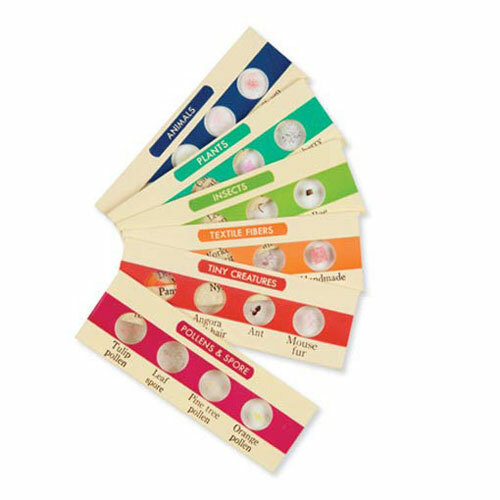 And we won't even talk about how your nail care is going to improve after you see your cuticles under this thing! 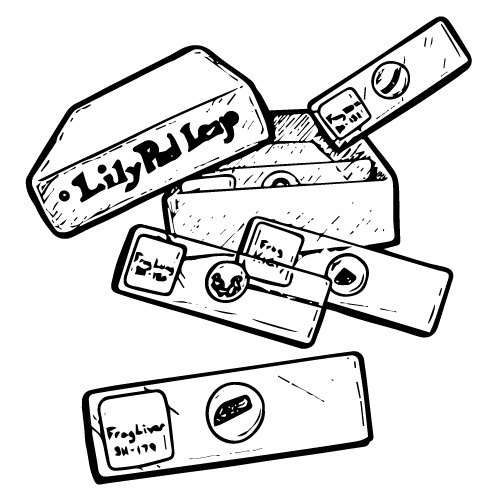 One wiseacre assumed we meant any package leaving our shipping room that once had a glass object in it. That is a malicious rumor. . . 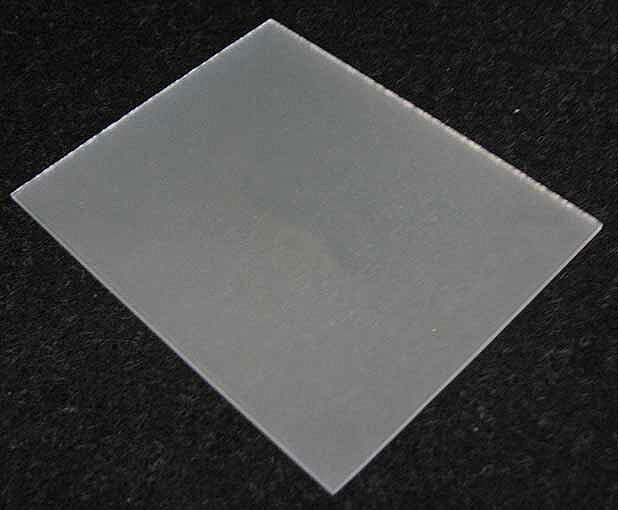 Ground glass is thin plate glass, the surface of which has been physically ground or acid-etched to create a grainy, grayish, opaque surface. 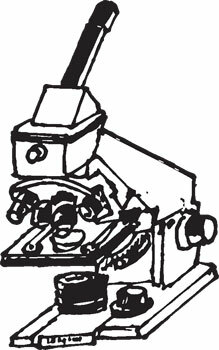 Use it to produce an image from a lens or lens system. 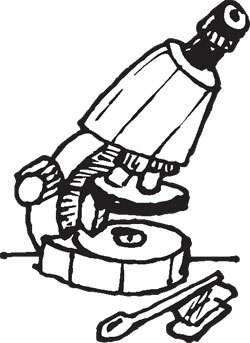 Even a simple magnifier, held between the ground glass and, say, a window, will produce an image of the window scene on the ground glass. 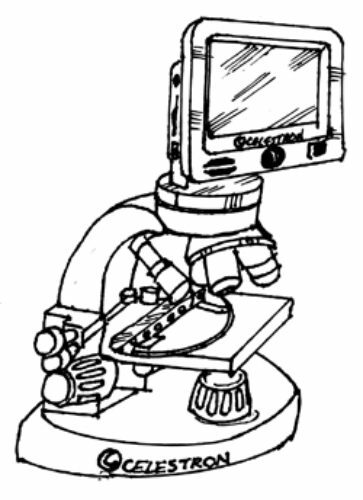 Ground glass has another magical property: it is opaque to any object viewed at a distance, but not if that object is in direct contact with the glass surface. 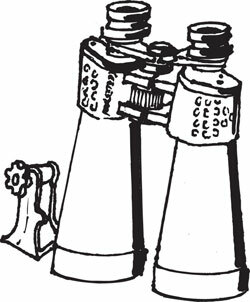 A necessary element of your optical education. #2728 (square) is 2"sq x 1/32" thick. #2610 (rectangular) is 3-1/2" x 4-3/8" x 1/16" thick. 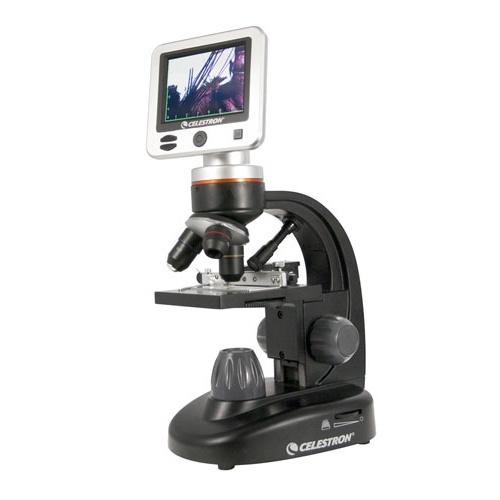 GROUND GLASS 3-1/2" x 4-3/8"
This 20-200X digital microscope from Celestron® has a built-in 5-megapixel digital camera that will take still photos and video of any scientist's discoveries. 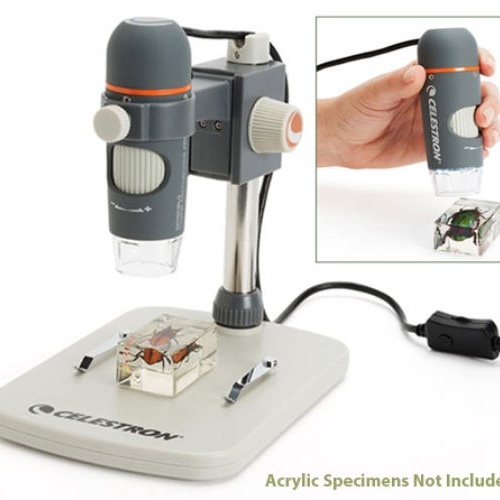 It's easy to use--perfect for looking at stamps, bugs, coins, rocks, circuit boards, plants and tons of other tiny things. 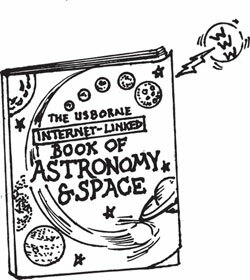 Good for professionals but completely appropriate for curious kids, too. 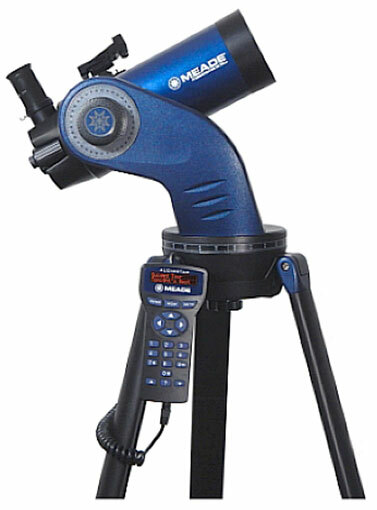 Has a manual trigger on the USB power cord, plus an 8-LED illuminator and a 6" adjustable stand on a 6-5/8" x 4-3/4" base. 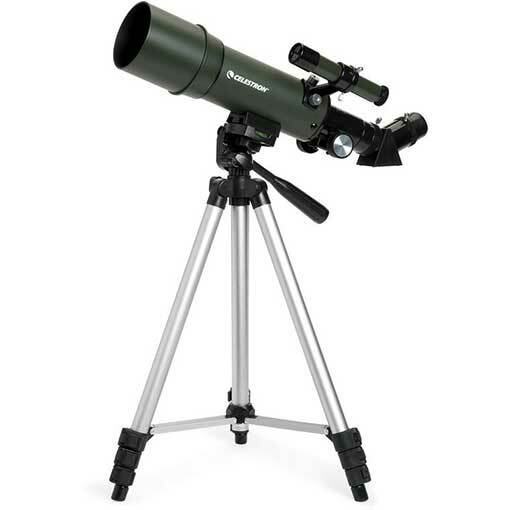 Comes with Celestron® Micro CapturePro software for Windows XP/Vista/7/8 and Mac OSX 10.6-10.7. USB 2.0. 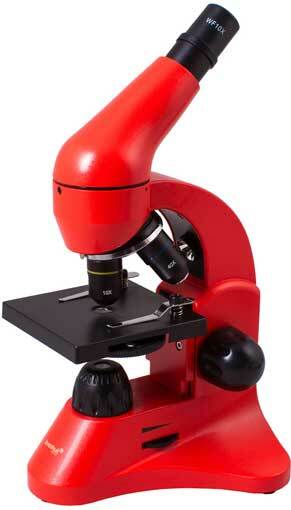 From Levenhuk®, this nice student microscope has an adjustable Barlow lens and objectives at 40, 100 and 400X. Has an adjustable iris and course focus. 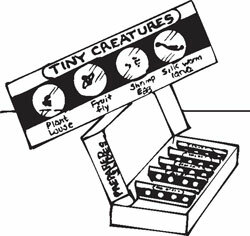 Comes with a blow-molded storage case, (5) blank and (5) prepared slides; pipette; brine shrimp, yeast, sea salt and glue samples; forceps; a microtome; 58-page overview booklet; and 27-page manual. 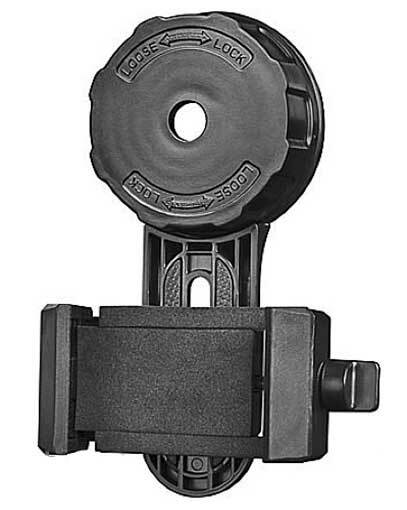 Has metal housing with glass optics, and a lifetime guarantee. Dual adjustable LED illuminator is powered by (3) included “AA” batteries or a 5VDC adapter. 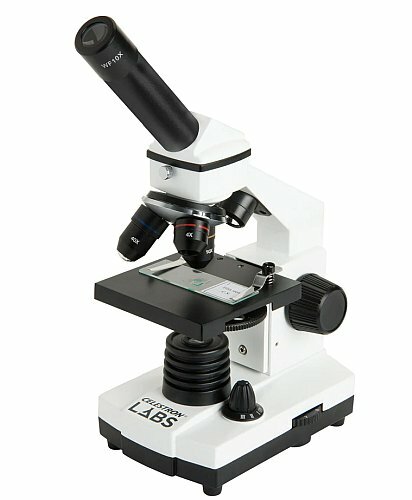 New, international-standard, full-sized illuminated student microscope, professional quality at a student price. 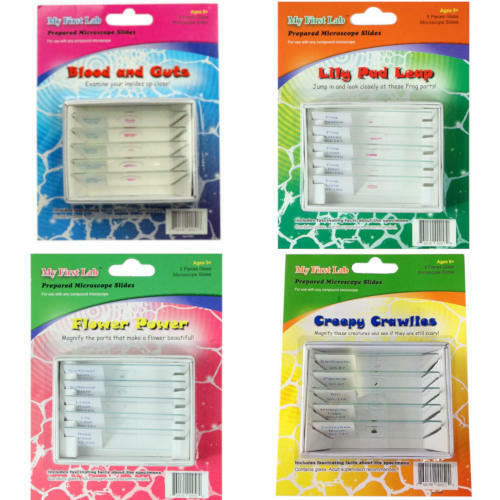 Now comes with a variable intensity 5.5V LED cool illumination system with a built-in rechargeable battery and wall transformer for use or charging. 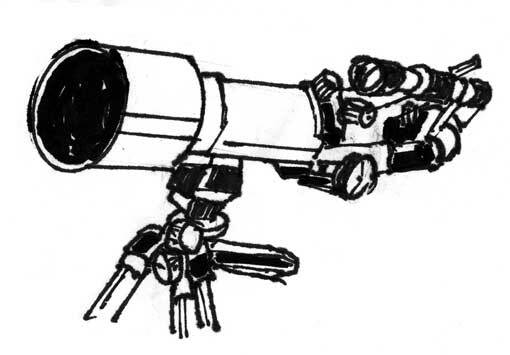 It has turret-mounted achromatic objectives, fine and coarse rack-and-pinion focus and substage diaphragm light control, and a metal frame. 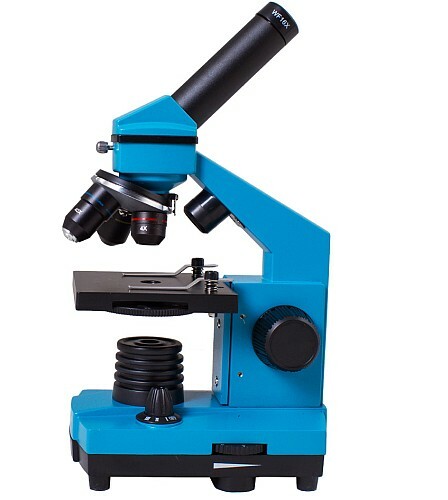 It is built to international DIN standards and accepts all DIN eyepieces and objectives. 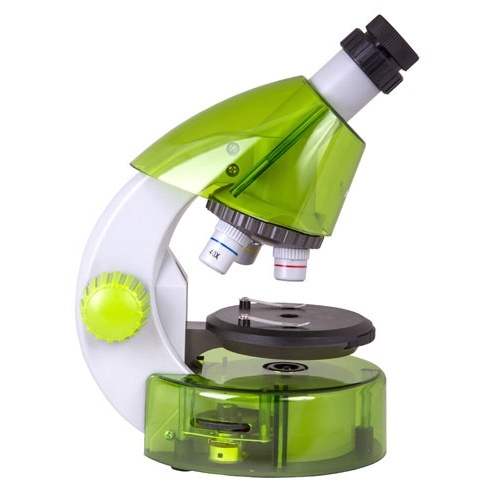 With extras like focus stop for slide protection, adjustable tilt and (2) spring clips, it is a fine instrument for most home science work and projects in the field. 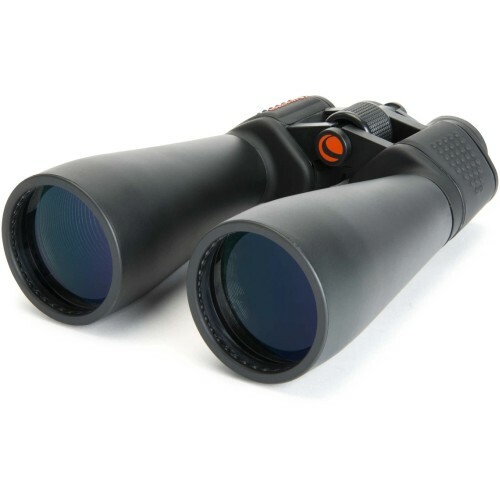 If you are looking for more magnification purchase the spring loaded 100X (oil immersion) objective lenses. 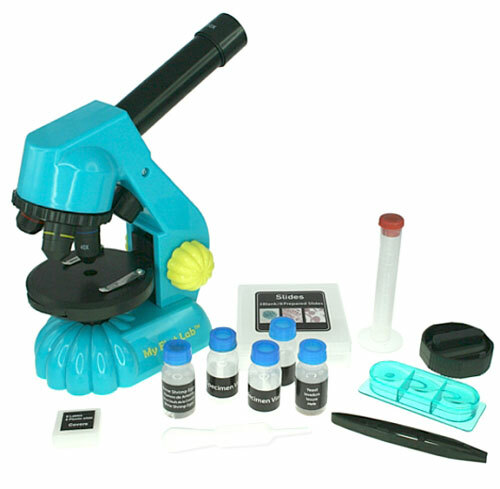 Brings your scopes total magnification up to 1000X magnification. 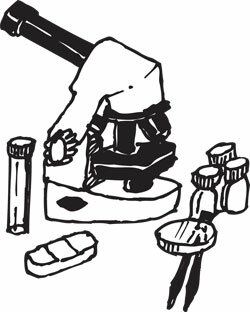 Our (36) piece assorted specimen set comes on (12) slides. All are great additions. 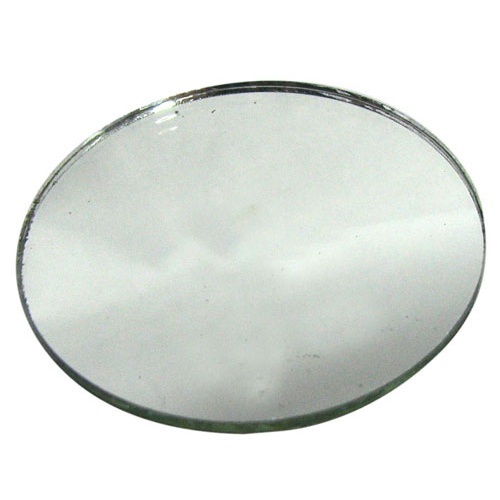 *Specifications: Magnification: 40X, 100X, 400X. 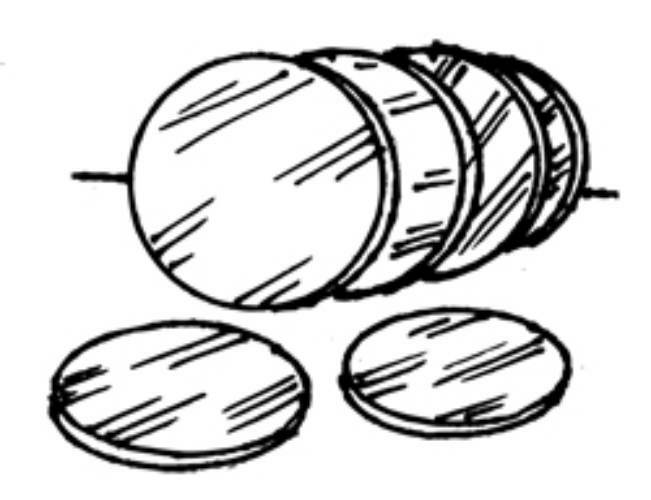 *Objectives: 4X, 10X, 40X Achromatic. *Stage: 120mm x 130mm with (2) clips. *Weight: 7 lbs., 4 oz. Height:14.5"